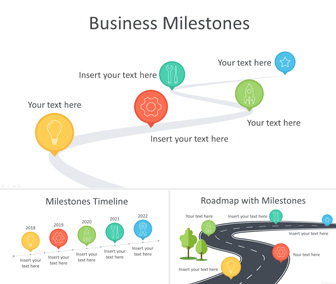 Present your projects with this milestones PowerPoint template. 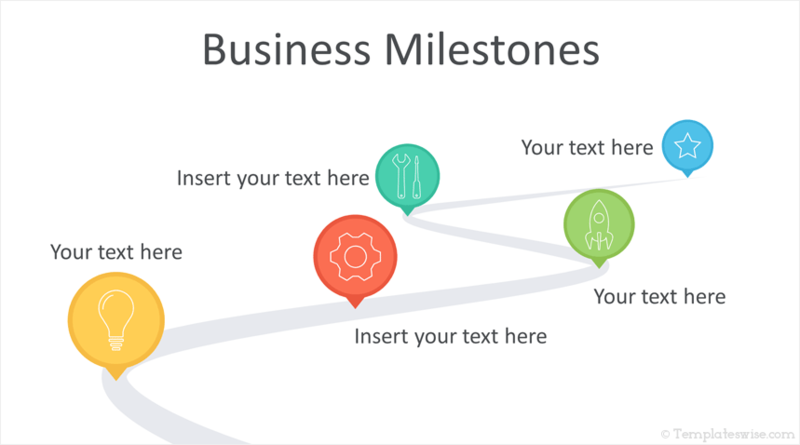 The slides include a 5-stage business milestone, 5 stage timeline milestone, and roadmap with milestones. These slides are fully editable and you can also use them in any existing presentation.